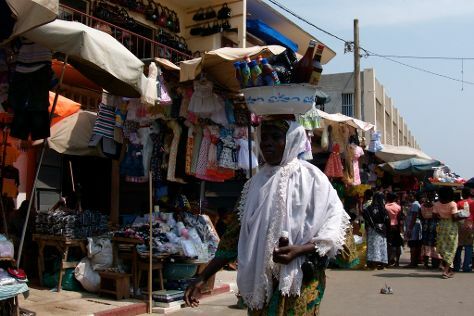 Sometimes called the Pearl of West Africa, Lome contains a cheerful spirit shown through its bustling street markets where both locals and visitors meet on a regular basis. Your Lome itinerary will not be complete without a visit to at least one of those markets. Renting a taxi or a motorcycle will get you just about anywhere, from the ocean-front beaches to the urban neighborhoods. Thanks to its mixture of people coming from various ends of the world, Lome can offer you a rich menu serving both local and international cuisine, like traditional German or French meals. Lome is in Maritime Region. To personalize your trip to Lome, create itinerary details specific to you using our Togo trip app . One of the great things about Lome is its ability to offer diverse hotels with prices suitable for any traveler. Amenities like access to an internet connection, pools, spacious rooms, and quality restaurants define hoteles here. You'll find the majority of these lodgings near the beach or within the city's main circular boulevard. Because of this, traveling to and from the hotel and Lome's tourist attractions is relatively easy and fast. Those looking for something more budget-friendly can seek out several campsites around the city's borders. They are reasonably priced and usually used by backpackers.